Sicily Workshops 2019 - thbothes jimdo page! Description of the origin of the CD "Canta la Calle"
Texte auf Deutsch: "Canta la Calle"
Einleitung zur CD: "We're all on the Road"
Texte auf Deutsch übersetzt "We're all on the Raod"
Introducción al CD: "We're all on the Road" Italia. Introducciòn a "Canta la Calle"
SOLO program with guitar: "Lo Vamos a Cambiar"
DEUTSCH: Einleitung Strassenkinder-Projekt "Canta la Calle"
Deutsch: "We're all on the Road"
Español: Introducción a CD "We're all on the Road"
Experiencia en Ciudad Juàrez, México. English: Itroduction to the CD "We're all on the Road"
Erice Festival begins the 31st of August - you can also arrive a day before! A week of music making and concerts for those who wish to dive into the fascinating atmosphere of old times. 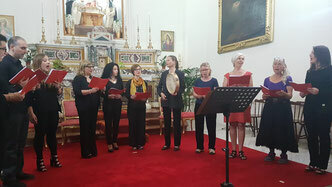 The music we will sing together will be a varied selection of pieces: Sephardic songs, Medieval Spanish, Italian, French and/or English songs. We will also integrate some traditional tunes that have come down to us from oral traditions that could well be just as old! Music can be made to sound new and joyful. The idea is to create a group willing to experiment, enjoying and sharing the experience of singing creating unusual sonorities together. There are so many things Sicily has to offer, it is difficult to describe them in a text, it has to be experienced. 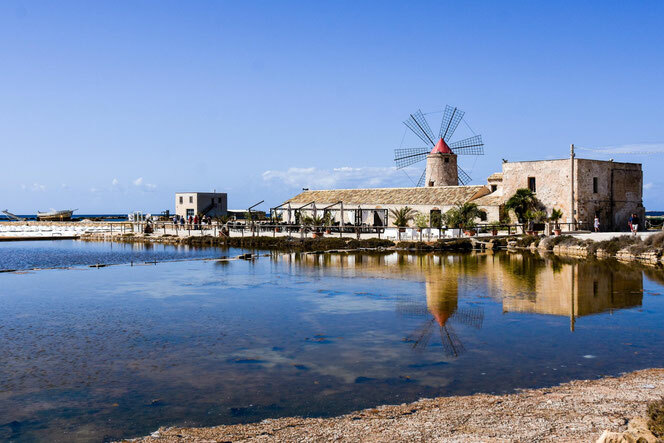 From the wonderful places which tell us a new story of European history, breathtaking Greek sites and impressive buildings from the 11th and 12th Centuries of the Medieval Palermo we will explore on our day trip. 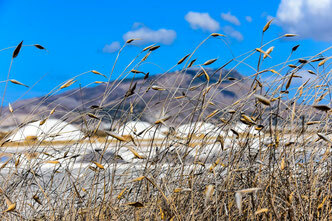 The food is tasty and varied, fruit and deserts are part of Sicilian culture. The wine has an ancient tradition and the generous and rich flavors accompany every meal. 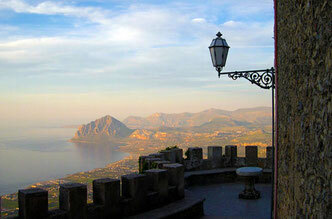 Erice is a fascinating little medieval city on the top of a hill. It offers a unique view of the territory around Trapani. 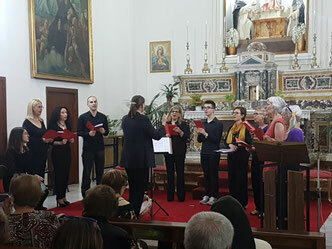 This year we will revive the “Festival de Musica Medievale e Rinascimentale di Erice” which still lives in the memory of the locals and of many early music experts. Your trip includes tikes and transport to the 3 main concerts. Our workshop will lead to a piazza performance on Saturday afternoon, which will mark the end of the festival. Medieval Palermo has places of unparalleled interest and beauty as the Capella Palatina and the cathedral of Monreale. We had some wonderful moments during our workshops in 2018, out of these experiences we have taken some new ideas for 2019. We thank all of you who have taken the time to send us some feedback! The performances were deeply appreciated by the locals who also sang and participated actively in the performance. The workshop Olio di Vita in October 2018 was a great experience, we all enjoyed sining every day of the week, also while collecting olives and tasting good wine! At the final performance in Terrasini was a great success, we had an enthusiastic audience who loved the concert! 2019 offers a new revised version of the week, we sill sing in sometimes in the morning by the Sea, simple vocal exercises and circle songs. In the afternoon we will learn the repertoire for our final performance. 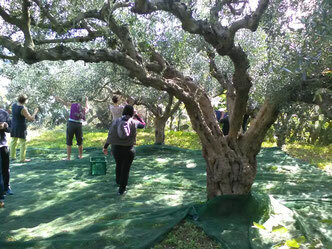 A morning will be dedicated to collecting olives, which is a very inspiring activity. Olive oil is essential to the mediterranean diet and it has always been related to traditions and song. One of the half-day excursions will be to Cefalu, where we find one of the most remarkable mosaics of the eleventh Century. We will have lunch cooked by the participants of “Lavoriamo Cantando”, which is an integration project related to mental health. We will also sing together some of their songs. The music we will sing is a selection of so called Wold-Music, from Africa, USA, Ireland, Latina America, Sephardic, Italian, etc. we will also sing some of Theresia’s songs, related to the moment of the performance. We will be staying in Trappeto, a small village beside the Sea originally known for olive oil and fishing. Weekly fees and what is included. wo finde ich das Kosten-Blatt?